Jakob Katzen (c) 2017 David Sinclair / McDaniel College. 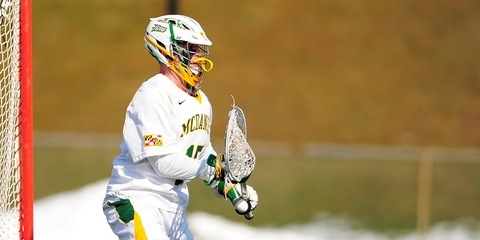 The past couple of years have been a struggle for the McDaniel men’s lacrosse team. However, things do seem to be getting better. 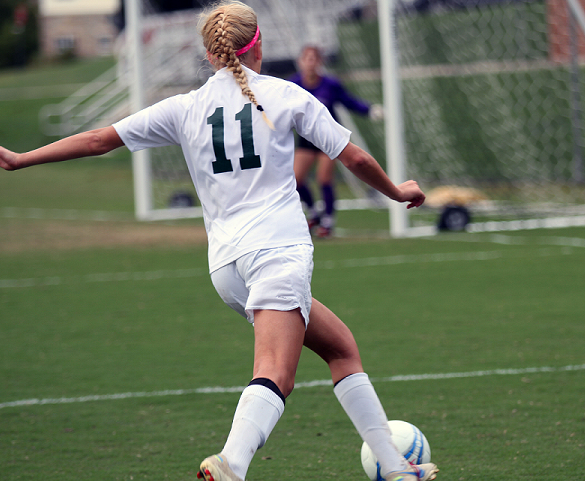 The team finished the 2016 season only 3-12, the program’s worst season in McDaniel history. Improving, but hardly to great heights, the team bounced back to finish 6-10 last year. To continue with the upward progression, the men have put together objectives for themselves to accomplish in order to be successful this upcoming 2018 season. First and foremost is making sure its relatively small roster remains healthy and fit. 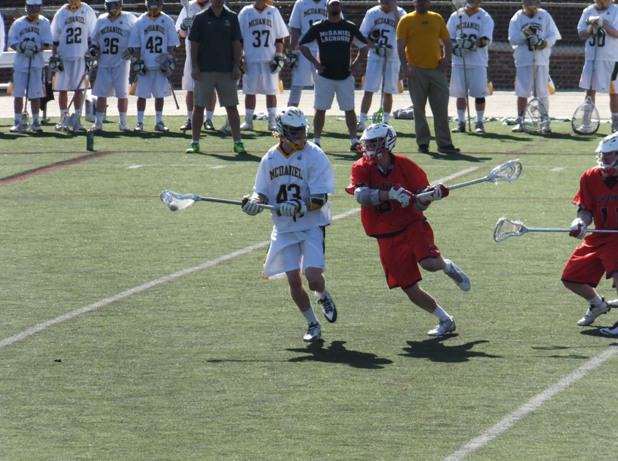 Many lacrosse programs have a roster of 40-50 players. McDaniel has just about 30. So, the team is focusing more intently on the well-being of the individual players in and out of practice. The team has made sure the student athletes take care of their bodies so they can stay in shape and avoid injuries. They do this by encouraging the team to stay hydrated, eat well, take ice baths, and stretch as much as possible so the players are not stiff, which often leads to a higher chance of injury. Many people also are apprehensive that the team will not have as much of an edge to this season due to seven of their starters graduating last year. The Baltimore Sun’s season preview predicted that the 2018 season will be “stormy” for McDaniel’s defense because of the loss of three main assets of their starting defense: Will Kroppe, Bob Breed, and Bryan Ruygrok. Another reason people are doubtful of the program being successful this year is because of the majority of the team being underclassmen. McDaniel opens their season at home on Feb. 21 against Immaculata at 7 p.m. Centennial Conference play commences against Haverford on the Hill on March 24 at 3 p.m.